Jim’s Computer Services is a national network of locally based IT professionals that are able to provide you with the prompt and personalised service that you are looking for, whether you are a home office, a business requiring IT support or a home computer user requiring assistance and advice. Businesses looking to reduce their IT costs are turning to Jim’s Computer Services as a cost effective outsourcing option to all of their installation, upgrade or maintenance needs. Our consultants will come to you and determine in consultation with you what you need and then structure a support program that fits within your budget and ensures that your IT system is doing what it needs to do to allow you to get on with your business. Home office or home based users often require the expertise of professionals but tend to try to persist with IT problems for fear that calling a professional will cost too much. The Jim’s Computer Services network understand that you want to get your computer doing what it needs to do but also understand that you do not want to spend the earth. 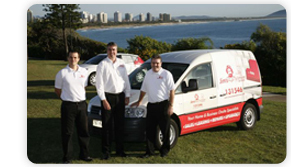 Our locally based technicians will quickly diagnose what needs to be done, quote you before any work is completed and will then do what you want them to do. So, no matter whether you are a business with multiple systems and terminals or a home computer user, the Jim’s Computer Services staff will tailor a support package that suits your requirements or will simply come in, fix the problem and get you back online in the shortest possible time for the minimum investment required. The Jim’s Computer Services network is backed by the Jim’s Group of companies and has the staff, expertise and resources to be able to react quickly to any IT related issues.